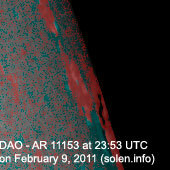 Last major update issued on February 10, 2011 at 04:20 UTC. 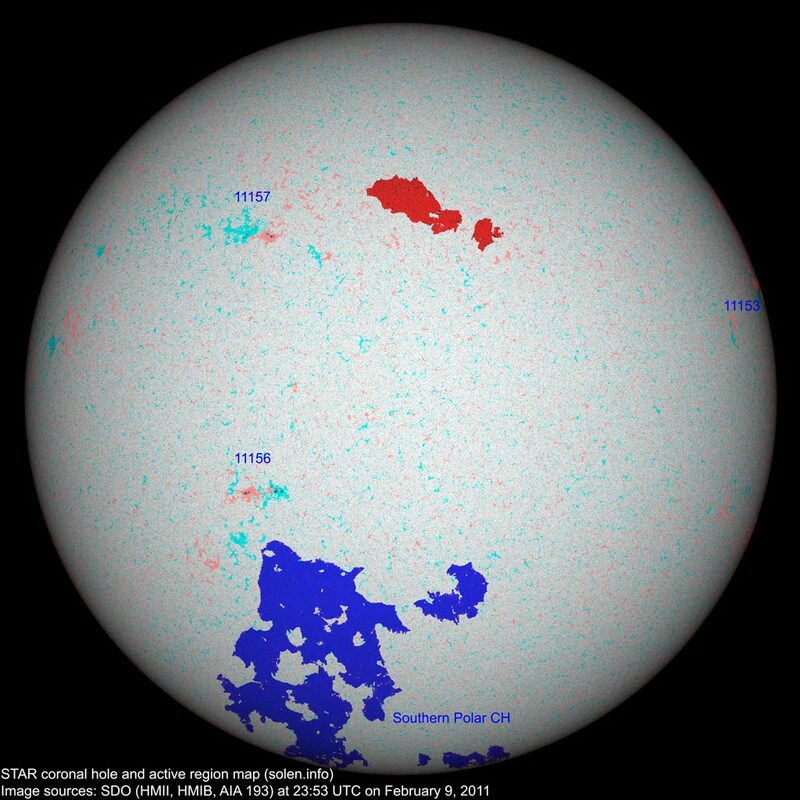 The geomagnetic field was very quiet on February 9. 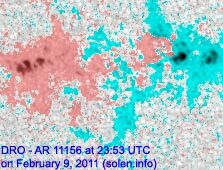 Solar wind speed ranged between 299 and 371 km/s. 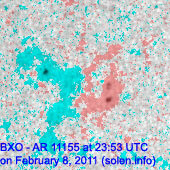 Solar flux measured at 20h UTC on 2.8 GHz was 88.7 (increasing 9.2 over the last solar rotation). The planetary A index was 2 (STAR Ap - based on the mean of three hour interval ap indices: 1.6). Three hour interval K indices: 00010101 (planetary), 10120100 (Boulder). 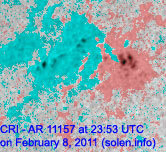 Region 11153 developed further with in the trailing spot section. 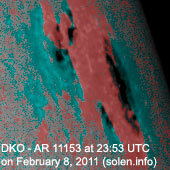 The region has rotated partially out of view but could still produce an M class flare from behind the limb. 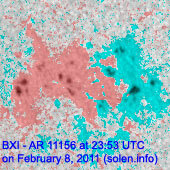 Flares: C1.1 at 00:13 and M1.9 at 01:31 UTC. 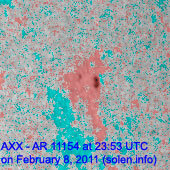 Region 11156 matured with increasing separation between positive and negative polarity spot sections. Region 11157 displayed no major changes and was quiet. 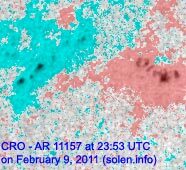 February 7-9: No obviously Earth directed CMEs were observed in LASCO or STEREO images. 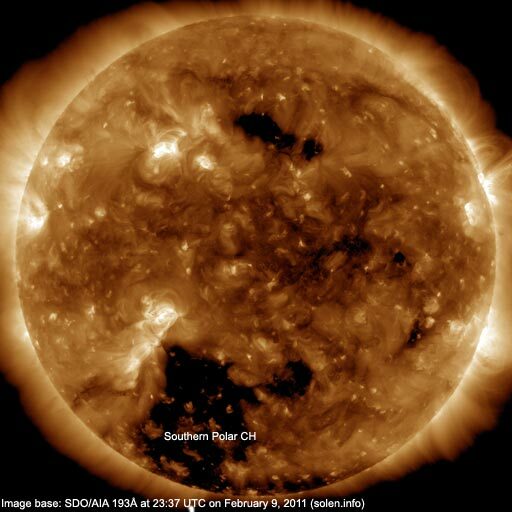 The geomagnetic field is expected to be mostly quiet on February 10-12 with a chance of occasional unsettled intervals due to weak coronal holes.